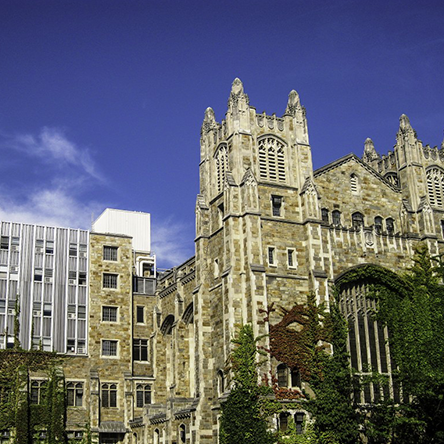 The Michigan Center for Early Christian Studies co-sponsors with the Department of Middle East Studies education and other events around cultural programs at the University of Michigan and at other locations across the State. 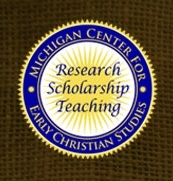 An Informational Gathering: The Michigan Center for Early Christian Studies. Thursday, October 19, 2012, 6:45 PM: J. Daniel Clifford, MD presented the vision for the Michigan Center for Early Christian Studies, emphasizing the nature and value of academic study of Christianity in public universities, at the home of David and Jayne Verlee, Holland, Michigan. An Informational Gathering: The Michigan Center for Early Christian Studies. Thursday, May 22, 2014, 6:34 PM: J. Daniel Clifford, MD, discussed the purpose and mission of the Michigan Center for Early Christian Studies and the importance of academic study of Christianity in public universities at the home of David and Jayne Verlee, Holland, Michigan. Mendelssohn’s Elijah in Context. Saturday, February 14, 2015: A panel of scholars (Professor Gabriele Boccaccini, Professor Shelley Perlove, and Professor Ralph Williams) presented lectures about the Biblical character Elijah and the art his story inspired, including Mendelssohn’s epic oratorio. The panel was presented prior to the University Musical Society’s performance of Mendelssohn’s Elijah. Handel’s Messiah in Context: A Visual and Cultural Presentation. Saturday, December 4, 2015: Professor Gabriele Boccaccini, Professor Ralph Williams, and Rev. Dr. Lynne Kogel examined the historical, literary, and artistic context of Handel’s Messiah in an education event held prior to the University Musical Society’s performance of the famous oratorio. St. John’s Passion in Context. Tuesday, March 15, 2016: A panel of scholars (Professor Gabriele Boccaccini, Doctoral Candidate Deborah Forger, and Professor J. Harold Ellens) discussed the character of the text and other elements of Bach’s St. John Passion, examining the nature of the text, controversies about anti-Semitism in John’s text, and the importance of the text to Christian origins. The Passion panel was followed by a performance by Apollo’s Fire in St. Francis of Assissi Roman Catholic Church. Christianity in Stained Glass. Tuesday, April 26, 2016: Rev. Dr. Lynne A. Kogel, author and photographer for the stunningly beautiful Christianity in Stained Glass, presented slides on the history of stained glass, emphasizing Philadelphia’s Willet Stained Glass Studio’s interpretation of Giotto’s work. The public lecture was presented in the Herrick District Library Auditorium in Holland, Michigan. Looking inside Handel’s Messiah: A Director’s Perspective. Saturday, December 3, 2016: The University Choral Union’s Director, Mr. Scott Hanoian, gave his perspective on the composer, the music, and the text. The public lecture was given prior to the University Musical Society’s performance of the famous oratorio. Biblical and Classical Influences in the Bayeux Tapestry. Wednesday, October 3 & 11, 2017: Rev. Dr. Lynne Kogel spoke about the 1000-year-old embroidered account of the 1066 CE conquest of England by William the Conqueror of Normandy, sharing rare photography and intriguing insights into the origins of the tapestry and its connections to Biblical and Classical Greek literature. The free public lecture was given at the Villas of Holland Clubhouse, Holland, Michigan, at 6:30 PM on October 3, and University of Michigan’s Museum of Art’s Stern Auditorium on October 11. An Informational “Living Room” Gathering: The Michigan Center for Early Christian Studies. Tuesday, October 24, 2017, 6:45 PM: Jim Lepkowski, PhD, President of the Board of Directors of the Michigan Center for Early Christian Studies, and Deborah Forger, PhD candidate in Early Christian Studies at the University of Michigan, spoke about the importance of academic study of Christianity in public universities and opportunities for study at the University of Michigan, at the home of David and Carol Cole,Ann Arbor, Michigan. Musical Text Painting in Handel’s Messiah. Saturday, December 2, 2017: The University Choral Union’s Director, Mr. Scott Hanoian, was accompanied by four soloists as he explained how composers like Handel creatred musical portraits of well known texts of their time. Soprano Meredith Hanoian, Alto Kristin Clark, Tenor Benjamin Boskoff, and Bass Edward Pember sang portions of the Messiah to illustrate Mr. Hanoian’s lecture. The public lecture was given prior to the University Musical Society’s performance of the Handel’s oratorio. A Celebration of MLK’s Biblical Legacy. Thursday, January 25, 2018: The annual Noel Freedman Lecture sponsored by the Noel Freedman Lectures, the University of Michigan’s Department of Near Eastern Studies, and the Michigan Center for Early Christian Studies presented Mitzi Smith, Professor of New Testament and Early Christianity from Ashland Seminary in Southfield, Michigan. A panel consisting of Marvin McMickle, President of Colgate Rochester Crozier Divinity School, Kenneth Harris, President of the Ecumenical Theological Seminary, Larry Smith, Senior Pastor at New Saint Mark Baptist Church, and Aaron Chapman, Senior Pastor of Dedicated to Christ Baptist Church, provided additional perspectives on Dr. King’s Biblical legacy. Fortunate the Eyes and See and the Ears that Hear. Saturday, December 1, 2018: In the continuing lecture series preceding the annual performance of Handel’s oratorio The Messiah at Hill Auditorium, the Michigan Center again sponsored University Choral Union Director Mr. Scott Hanoian in a public lecture on a conductor’s perspectives in preparing and presenting Handel’s great work. Mr. Hanoian was accompanied by his wife, Meredith Hanoian, as he illustrated how a conductor approaches a presentation of Handel’s musical portraits of a libretto developed by Charles Jennens.